We recently completed our private dining room in what used to be the old ladies bathroom for the train station. We have now converted this into a dark and intimate dining space for up to 12 people. 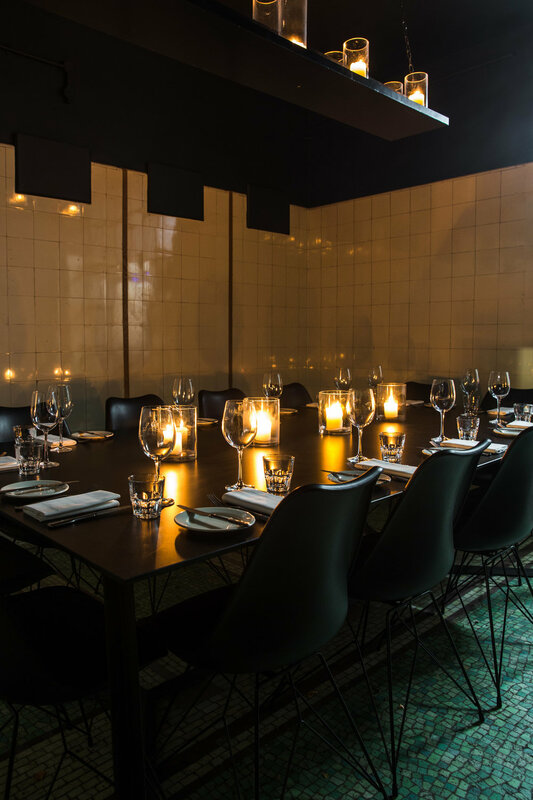 Please get in touch by emailing hello@coalrooms.com if you would like to book this for a private function.